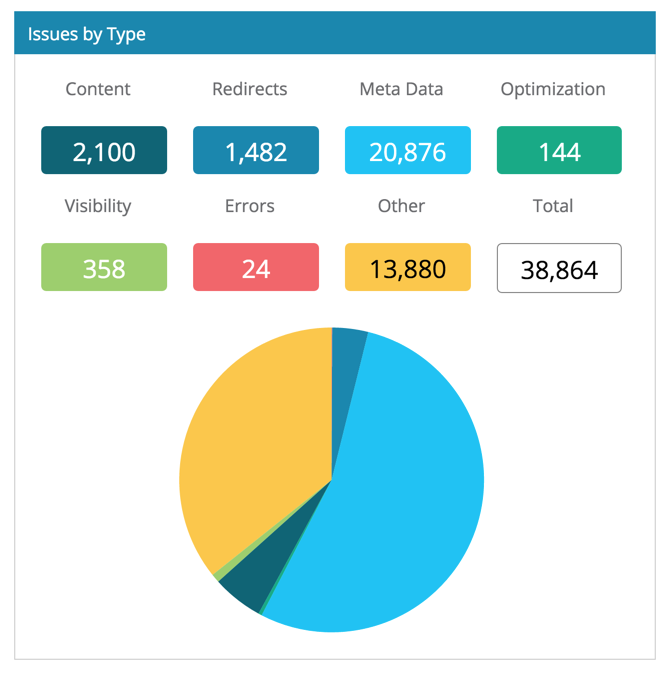 Dragon Metrics' Site Auditor can separate your onsite SEO issues by types, you can see what types of issues does your site have in the Site Auditor Overview page. Knowing which types of issues are the most common ones will allow you to allocate your resources effectively when fixing them. For example if most of your onsite issues come from the category content, you will know the content management team will be spending the most time fixing your onsite issues, whereas if most of the issues are errors or redirects, you might need to delegate most of the responsibilities to the IT team instead.